How to Maximize Conversions with SMS Verification Tool? Businesses can maximize conversions with SMS verification tools, which allows them to get higher conversions. Usually, the word “bulk SMS” is used when businesses think of sending promotional SMS. An SMS verification infrastructure is the next step in the marketing ladder. Through verification, a business owner can verify users, create two-factor notification (2FA) processes for transaction verification, and more. Usually, in the verification, a unique code is generated and sent to the user. Based on the nature of the marketing or branding campaign, the user enters the code into the system and receives benefits. The SMS verification system is secure than a single factor system which is usually the computer used by the user. There are no drawbacks to this system because every mobile user has access to receiving text messages. 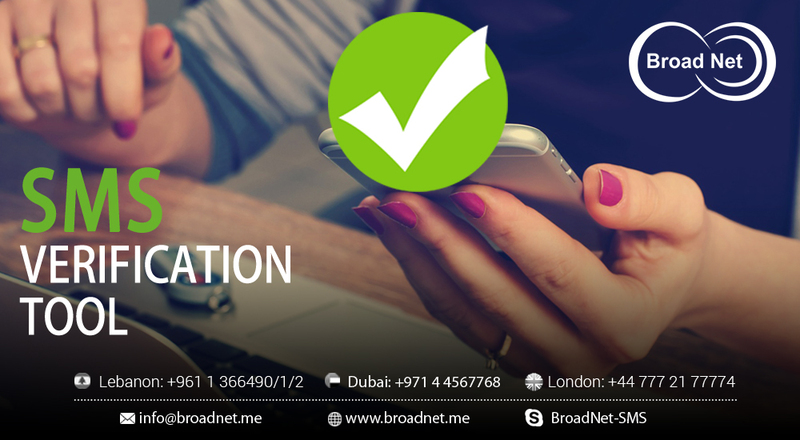 If you want to run comprehensive marketing and verification campaign, use the Broadnet bulk SMS and SMS verification services. With this, you can register users to the database and verify transactions, phone number, and generate one-time Pin (OTP). All this happens through seamless API integration. Running global campaigns become easy as you do not need to connect with the network carriers separately. All the services are SMS Verification API compliant. The fee for SMS verification service is based on ‘pay per SMS received’ plan and not on the number of delivery attempts. A marketer pays for results, which makes the proposition risk free. There are no minimum monthly commitments. You can explore with a free test account and create anSMS verification pipeline. All the SMS verification results can be tracked minutely from the Dashboard. You get real-time analysis. When the message fails to deliver, there will be automated retry modules. Businesses looking to create strong outreach and conversion pipelines should definitely opt for the SMS verification services.